Are you an effective preacher? 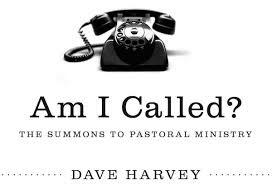 This is a helpful list that Dave Harvey provides in his book Am I Called? The Summons To Pastoral Ministry. The gospel factor: Does the man’s preaching move people toward the gospel? The Bible factor: Does he haven an aptitude for doctrine? Does he exegete Scripture competently? The eagerness factor: Do people get excited when they hear he’s scheduled to preach? The people factor: Does he communicate in a way that helps people? Do people say they feel like he understands then and relates the Bible to the issues they’re facing? The cohesive factor: Are his messages clear and easy to follow? The guest factor: Are visitors inclined to come back and hear him preach? Do his sermons make the gospel clear to unbelievers?